Air Force Capt. Juan G. Figueroa-Longo, MD, and his wife, Carmen, started out on a vacation in Europe and wound up as two of the lucky survivors of the tragic North Atlantic ditching of the Flying Tiger. The Captain also wound up being the only doctor available for the other 47 survivors aboard the Swiss freighter Celerina for most of a hectic week. Figueroa-Longo, 30, had been in the Air Force for 19months and was assigned to the 822nd Medical Group at Tuner Air Force base near Ft. Gordon, Georgia. He was had suffered with the others including his wife for the five to six hour-ordeal in the overcrowded, upside-down, 25-man life raft before the Celerina picked them up. As soon as he got safely aboard the Celerina, he stripped off his salt water and fuel soaked clothing, put on an old pair of pants and a shirt donated by a member of the Celersina’s 35-man crew and went to work treating the injured. He had lost his eye glasses in the crash, but proceeded to administer aid in spite of that handicap. Wounds of the rescued passengers and crew ranged from severe skin burns from aviation fuel and salt water rubbed into the skin by wool uniforms, to deep slashes as well as shock and general exposure the cold. He worked continuously though that Sunday night and went without sleep for two full days. 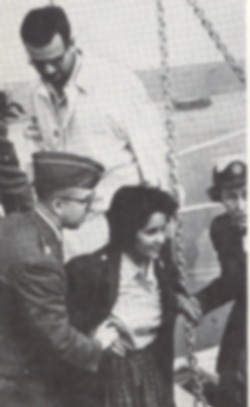 The Celerina’s medical supplies were severely limited, the Doctor said, but a helicopter from the Canadian aircraft carrier Bonaventure was able to provided some supplies on the day following the crash even though the weather made such a delivery operation extremely hazardous. The doctor said he was too busy to stop to sleep, even though the lack of eye glasses increased fatigue as well as compounding the difficulty of treating wounds. “We worked with what we could find in the ship’s emergency kit, and with what the Canadians were able to airlift in, but that proved to be not enough to treat the more seriously injured. So I thought it best to have an air evacuation to get the injured off the ship as soon we the weather cleared and we got close to land,” he said. Capt. Figueroa (white shirt) and Carmen Figueroa leave Celerina at Antwerp. It was on the third day, Wednesday, that the weather cleared and the Celerina had arrived within 18 miles off the Irish coast near Galley Head. Seventeen of the most severely injured were airlifted off the ship to Mercy Hospital in Cork, Ireland, by way of the one-year old Cork Airport and with the Airport’s new emergency rescue team. Capt. Figueroa carried on watching over the remaining 21 survivors until they all arrived and at Antwerp, Belgium that Friday. Upon arriving at Antwerp, he praised the crew of the Celerina for doing a wonderful job in keeping morale up and keeping the “boys” happy. “They (the crew) went well beyond the call of duty with providing clothes, their beds and food for us. And I think the moral support the crew gave to us was very good medicine,” he said. The wife and daughter of the Celerina Captain Domenico Lugli were a very big help, he said, “and the second mate was excellent.” The second mate on a freighter customarily serves as the ship’s doctor, although not a professionally accredited one. Capt. Figueroa also gave special praise to flight attendant Carol Ann Gould for her help, as well as Stars and Stripes report Senior Master Sergeant Peter A. Foley who also survived the ditching of the plane and volunteer aid to the doctor. By time he and his wife reached land, both felt an even greater need for a vacation than they did when the boarded the Flying Tiger. Capt. 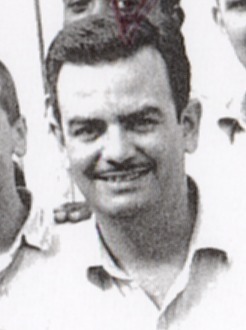 Figueroa received his medical degree at the University of Puerto Rico School of Medicine at San Juan, specializing in obstetrics and gynacology. He and his wife eventually returned to San Juan as a permanent home. 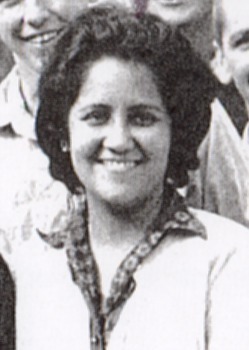 Carmen Figueroa, a survivor, has her own story to tell in a later post. This entry was posted in passengers and tagged Celerina. Bookmark the permalink. Estoy agradecida al Dr. Juan Figueroa Longo. por ser compasivo, humano, y sobre todo un excelente profesional. Lo recuerdo con mucho cariño. Mi ginecòlogo, que me atendiò en mis tres embarazos. Donde quiere que estè le mando muchos saludos, y creo que èl nunca se retirarà, puès necesitamos mèdicos como èl. Muchas gracias!